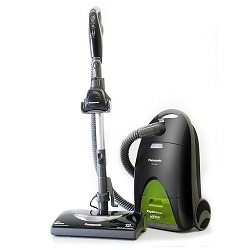 The OptiFlow MC-CG917 is a bagged canister vacuum cleaner of Panasonic. The OptiFlow technology aims to maintain a constant airflow through the dust bag as it’s filled. It is equipped with a motorized nozzle which is particularly efficient on carpets.